Not sure if you can buy a home? The Pathway to Purchase loan program can help. This is one of the best programs currently available to help people achieve their dream of owning a home. 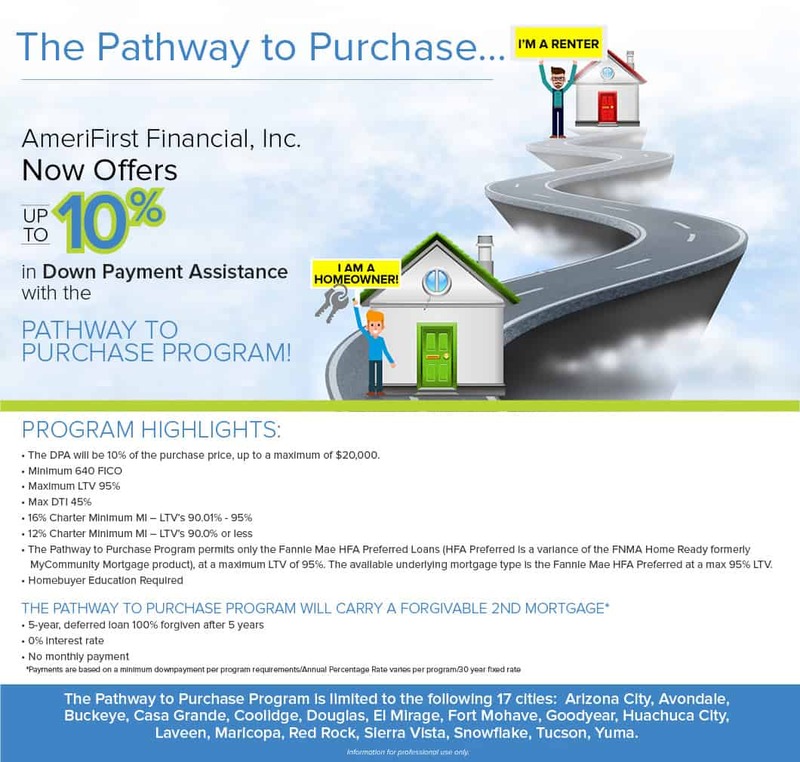 This program offers up to 10 percent in down payment assistance. This program is only available in select Arizona cities. Contact us now to learn about this exciting opportunity! The Pathway program is limited to the ollowing 17 cities: Arizona City, Avondale, Buckeye, Casa Grande, Coolidge, Douglas, El Mirage, Fort Mohave, Goodyear, Huachuca City, Laveen, Maricopa, Red Rock, Sierra Vista, Snowflake, Tucson, Yuma.